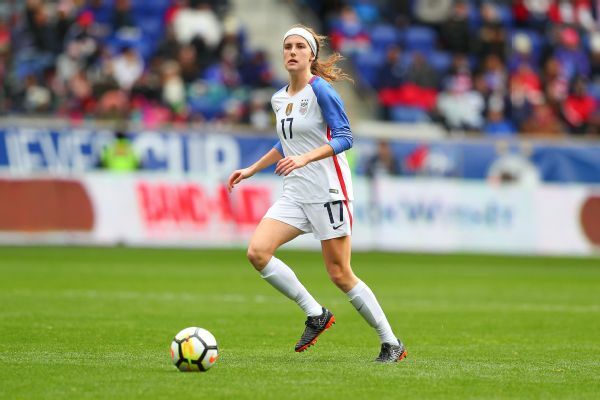 Defender Tierna Davidson had a year of eligibility left at Stanford, but forgoing her senior season to play in the NWSL will better prepare her for what she hopes is a spot on the U.S. roster and the World Cup. More than a few players tasked with defending Marta have likely pondered their career choice. But not like this. It was during last year's Tournament of Nations, competing against the Brazilian soccer star on the heels of playing every minute for the United States against England, France and Germany earlier in the year, that Tierna Davidson realized her future had rapidly become her present. Though just 19 at the time, she realized she wasn't out of place on the U.S. women's national team. Not on the field against giants. Nor, she found, amid her teammates off the field. 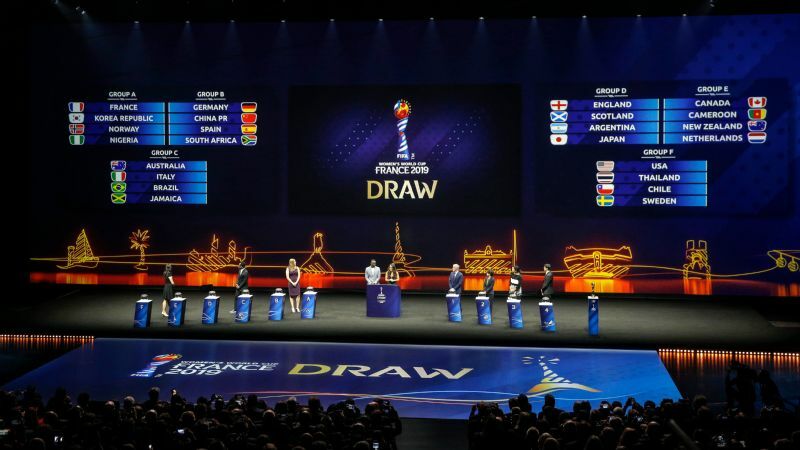 A lot changed last summer when the World Cup stopped being dream and became an event with a specific start date. "I began to think that this really could be a possibility for [this summer]," Davidson said. "I could really be with them for the months of June and July and compete with them for the world title." Realizing that summer dream, however, means drastically altering her reality this spring. So rapid was her ascent as one of the best young defenders in her sport that, like Tiger Woods and Katie Ledecky before her at Stanford, Davidson outpaced what even that school could offer. Rather than return to campus this spring and for her senior season in the fall, Davidson entered the NWSL draft and was selected first overall last Thursday by the Chicago Red Stars. She entered the draft not because she needs to know if she is good enough to play at the next level. But because she needs to be ready to play at the highest level in June. "I would say the biggest factor was putting me in the best position to develop as a soccer player in these coming months before the World Cup," Davidson, 20, said shortly after the draft of her decision to forgo her remaining NCAA eligibility. "And then beyond, looking at the very busy U.S. women's national team schedule between now and the end of 2020 [and the Olympics]. "Obviously there is room to grow in every part of my game, and I think that just elevating my game to the next level with the elite competition in the NWSL was the best way to go for me." As recently as the final months of 2017, Davidson had a bright future but no need to rush the present. 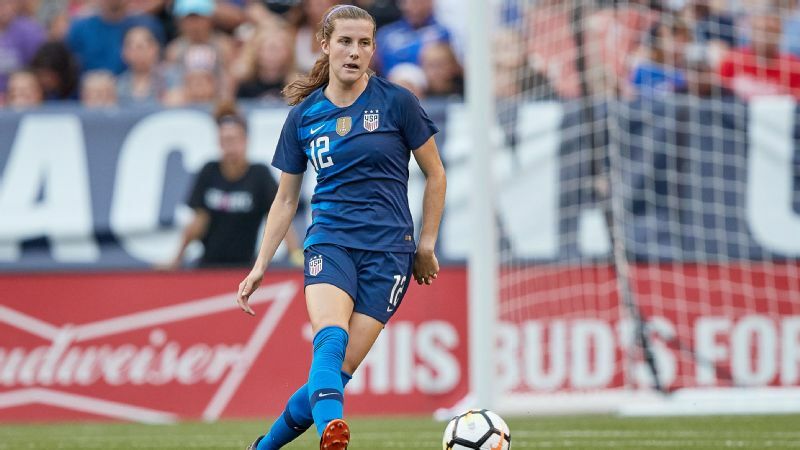 Though ticketed for big things based on early returns at both Stanford and with U.S. youth national teams, she was out of her element in a training stint with the senior national team, nervous by her own admission. She was a player to watch for 2023, or perhaps the 2020 Olympics, but she had time to make her mark in college first. That all changed when all of her athleticism and none of the nervousness returned for the senior team's annual January camp in 2018. With Becky Sauerbrunn injured and out of the lineup, Davidson started the 2018 opener against Denmark. She started against three European powers in the SheBelieves Cup. And she started against Brazil and Japan in the Tournament of Nations. By the time the college season got underway and she returned to Stanford, Davidson had played more minutes for the United States in 2018 than any player and appeared, if not a lock, then at least a favorite to start at center back in the World Cup. But then Davidson suffered a broken ankle in a September game against North Carolina and missed the remainder of the college season and all of World Cup qualifying. Already in this camp I can see she's trending up. Currently in Portugal for the U.S training camp ahead of games against France and Spain, she said her return is going well. Still, three months on the sideline is a long time in a senior national team career that spans barely 12 months. 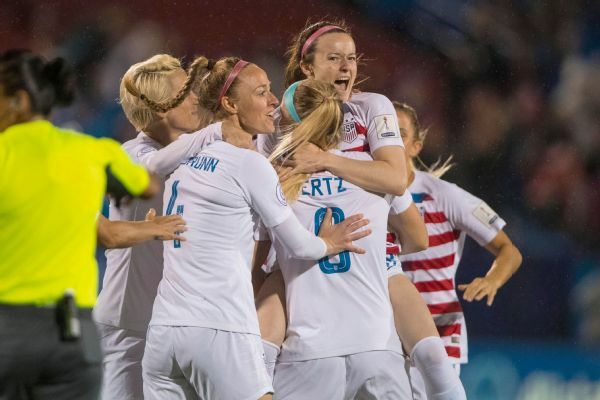 "It puts you back a little bit, but I also think there is time here to make up," U.S. coach Jill Ellis said. 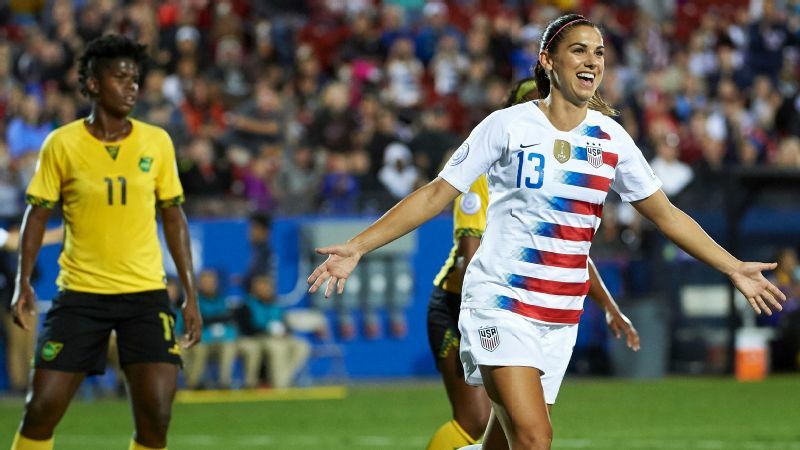 "She got a lot of minutes against the top teams in Tournament of Nations and SheBelieves, and that was part of the plan. That was important for her to experience that caliber of opponent. It wasn't just getting her 10 minutes off the bench. It was getting her that experience. "Now it's just dusting the rust off and getting her ready to go. Already in this camp I can see she's trending up." Stephanie Lopez was the most recent player to make a U.S. World Cup roster with remaining college eligibility, earning a place on the 2007 team at a time when there was no professional league in operation. The youngest player on the U.S. team in 2011, Alex Morgan was by then already a rookie with the WPS Western New York Flash. The same was true for Morgan Brian, a rookie with the NWSL Houston Dash when also the youngest player on the 2015 U.S. roster. In preparing for those World Cups, neither Morgan nor Brian had to worry about NCAA rules limiting athletes to eight hours a week of practice with their teams during the spring. Nor were they limited to training against players of the same age, players they had already proven superior to through four seasons of competition. Even taking time off from school without turning pro would have left Davidson in uncertain territory, scrambling to find the competition and logistical support necessary to stay on track. Turning pro means the opportunity to train alongside the likes of Brian, Julie Ertz and Alyssa Naeher in Chicago, a stable franchise and playoff regular fortunate to end up with the No. 1 pick by way of trade. "The discussion we had was about managing the time when she wasn't in with us, what would that look like," Ellis said of her counsel. "It's not one of those things where I could tell her what to do. She had to figure it out, discover her own path and then we would support her decision." Tierna Davidson, left, is congratulated by U.S. teammates Crystal Dunn and Alex Morgan following a goal against Chile last August. Davidson started all 12 games she played in for the United States in 2018. Her injury and the quirks of a soccer calendar that squeezes the two biggest events for the U.S. women into consecutive years followed by a two-year lull made turning pro a logical path for Davidson, whose athletic precociousness is not altogether unlike Woods and Ledecky. 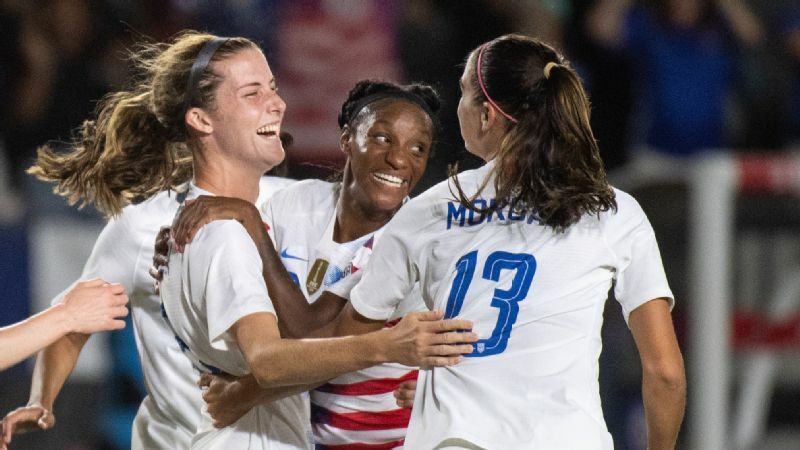 And in joining Lindsey Horan and Mallory Pugh as players likely to make the U.S. team after leaving college early or bypassing it altogether, there is a blueprint. Roughly the same age as Davidson, players like France's Grace Geyoro and Spain's Patricia Guijarro train nearly year round at clubs like Paris Saint-Germain and Barcelona, respectively. The vast number of international players across the NCAA suggests that college soccer remains a good experience for many. Davidson's dilemma shows it can pose challenges for the very best. "If it's not going to push or accelerate your growth, then I think it is important that you find that environment," Ellis said. "Whether it's NWSL or going overseas -- some players are going over there. For those players, seeking out that experience and that environment, yeah, I think that's important. I was a college coach, you're talking about 20 games over a three-month period [in the official fall season] and then very limited time." 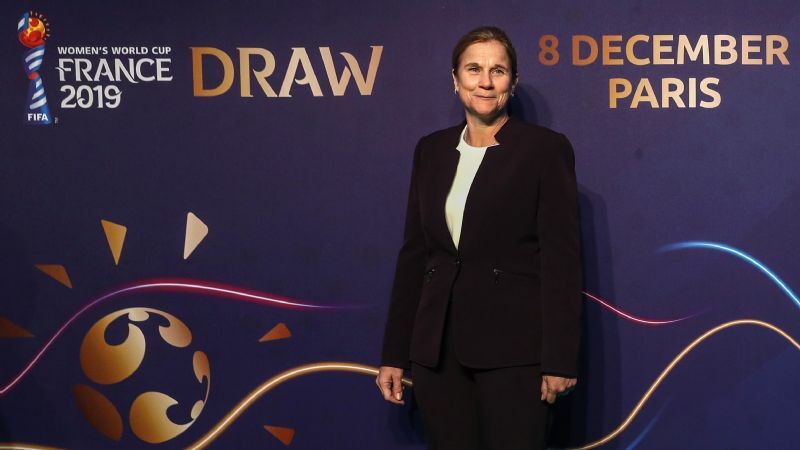 It was difficult to speculate, Davidson said, what path she would have followed had this not been a World Cup year, had such an opportunity not loomed in front of her eyes. What matters is that this is a World Cup year. And she intends to be ready.